“Don’t stalk the reviewer… but if you haven’t heard anything after a few weeks, follow up to see if they still intend to write the review.” Self-publishing guru Joel Friedlander, via Writers Digest. “I’ve sold almost 3,000 copies… thanks to the great reviews I’ve received which in turn affects sales and… ‘also bought’ lists.” Children’s writer Karen Inglis via TheCreativePenn podcast. “I spent more time creating, maintaining, and marketing THE PET WASHER than I did writing it.” Children’s writer Jennifer Lynn Alvarez via her blog, on the workload behind self-publishing. “Space out promotions so that you’re not hitting the same people with your free offer… so that you get plenty of new people who may not have seen or grabbed your free offer the last time around.” Children’s writer Beau Blackwell, via his blog / podcast. “In the back of your book put a statement about how important reviews are, and ask the readers to please leave a review. Don’t ask for a good review, just an honest one.” Writer Giacomo (Jim) Giamatteo, also via Selfpublishingadvice.org. 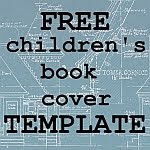 There may be some useful information in this ebook marketing video, from writeforkids.org. And here are a few legit sites offering their own or links to review services. Please, please, please, dear readers – read reviewers’ guidelines carefully. If they say they don’t take children’s stuff – don’t send them children’s stuff. If you know of more, let me know. I’ll happily post updates. Oh, and here’s one reviewer who won’t read your self-pubbed book, no matter how excellent. Worth reading to find out how not to approach reviewers. I couldn’t let you sign off without sharing these hilarious videos of famous writers reading their own negative reviews (mainly from Amazon). I’ll post the first one, but there are many more. YouTube is sure to recommend more once you’re finished laughing. I’ve started finishing each book with a quick request for a review. It’s something basic I ought to have included from the start. It hasn’t made a difference yet, but I am training myself to be a bit more aggressive in asking for reviews. You’re proud of your book, right? So get it out there, into the right hands, and watch those reviews come rolling in. Drat – I just realized I promised I’d tell you how to get more of both, reviews and chocolate. Getting reviews is tough. But luckily, getting chocolate is easy. Great content! Thanks Jennifer! I LOVE Readers' Favorite - the organization is extremely professional (I'm not affiliated) and I got 7 books reviewed by them :) The other authors are so kind, skillful and professional. This year I'm also experiencing all the different stages of the Book Contest. I'm a finalist now - the results will come out on Sept 1st so please keep your fingers crossed! Thanks for sharing your experience, Alinka. I did have my concerns about this organization. Good luck! Thanks for the mention, Jennifer! Great post, as always.